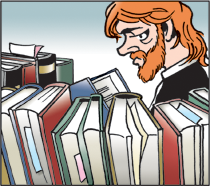 Welcome to the Doonesbury Mudline Archive! Retired Army General Hugh Shelton on John McCain. "A screw loose." Jesse Ventura on Bill O'Reilly: "A spineless puke." Meghan McCain on Christine O'Donnell: "Making a mockery of running for public office." Helen Thomas on Obama: "Reprehensible." Rush Limbaugh on Harry Reid: "A liar...A shameless little man."